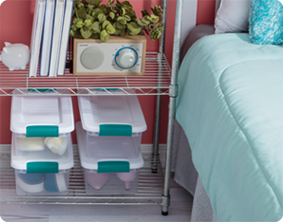 Need help getting organized? 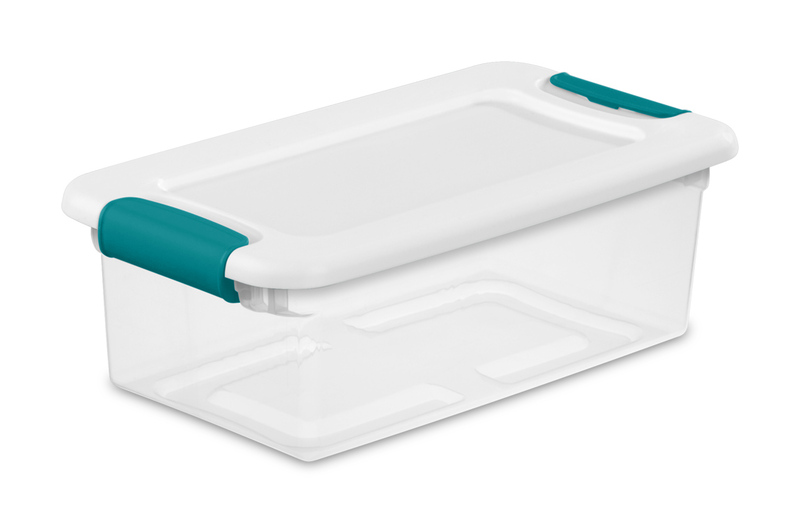 Step up to the 6 Quart Latching Box, featuring a modern space saving shape and an innovative hinging lid. Simply undo one latch and lift the lid for easy access, all with one hand. The other latch stays attached and acts as a hinge, even when the lid is opened all of the way. This Latching Box is ideal for storing shoes, toys, crafts and other small items around the home and fits conveniently on 16” wire closet shelving. The recessed lids allow same size storage boxes to stack neatly on top of each other to use vertical storage space efficiently. The overall assembled dimensions for this item are 14 1/8" x 7 5/8" x 14 5/8". Latching lid allows easy access with one hand. Get those shoes organized and easy to find! 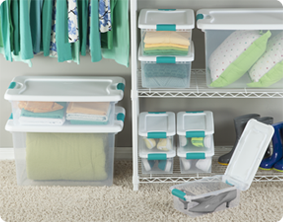 Ideal for keeping closets neat and organized. 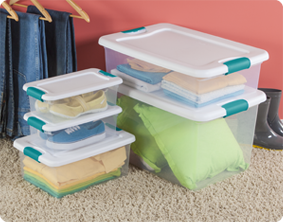 Latching Box Storage Containers solve a variety of household storage challenges. 6 Quart Latching Box is rated 4.0 out of 5 by 2. Rated 3 out of 5 by Corey from Not as good as the previous 6 qt design I've purchased hundreds of the 6 qt totes of the previous model (before 2017). The new design for 2017 are inferior in many ways. The prior design used curves around the vertices and corners, which minimizes the stress and improves strength. In all directions the prior design is stiffer and more robust. The lid latching mechanism on the prior design is much more elegant and user friendly. There is more space on the sides to put labels and still be able to see through the tote to view contents. 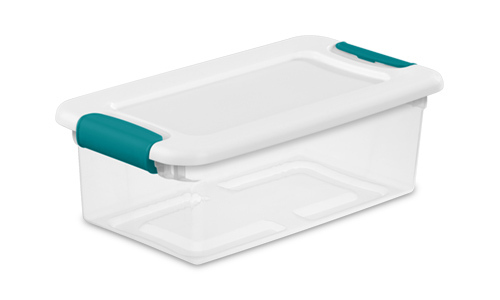 Also, the new design is less transparent when the lid is off, since the latch is integrated with the tote body. In the previous design I could change the color of the lid handles (green, blue, cyan,...) to easily group totes by project type or progress status. [I know, I have way too many opinions about totes.] Finally, the length-to-width aspect ratio of the new design is too larger (i.e., the width is too narrow). Rated 5 out of 5 by lori from This is perfect for all my makeup This container is perfect for holding my extra makeup. It keeps them clean and I can see what is it the container easily I also use another one of these for my hair ties and hair accessories.